Red Jasper is one of the best known Root Chakra crystals and its keyword is balance. Excellent where extreme imbalances of the Root Chakra are indicated: excessive fear, undisciplined or underweight (under active chakra) and greedy, materialistic, sluggish nature or obesity (over active chakra). 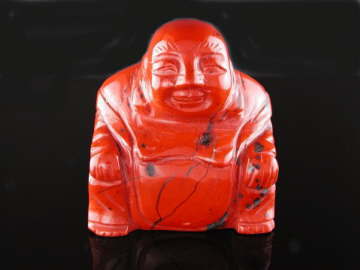 It is this ability to balance that has also led Red Jasper to be known as the Stone of Justice – bringing equilibrium to unfair or unjust situations. If you are ever involved in legal proceedings, or find yourself in an unfair situation personally or professionally, using or wearing a piece may help secure a fair outcome. Always remember, however, that ‘fair’ means being honest with yourself and not wishing for an outcome motivated by greed, fear or revenge.